A very worthy and highly respected colored man. Wilson Mirror, 19 November 1890. In the 1880 census of Toisnot township, Wilson County: farmer Amos Bynum, 42, wife William Ann, 35, and children Charley, 14, Lulu, 4, George W., 3, Turner, 1, and Jonas, 17. Though the article above avers that C.H. moved to Kinston in 1899, he married Janie Booth in Wilson in April of that year. 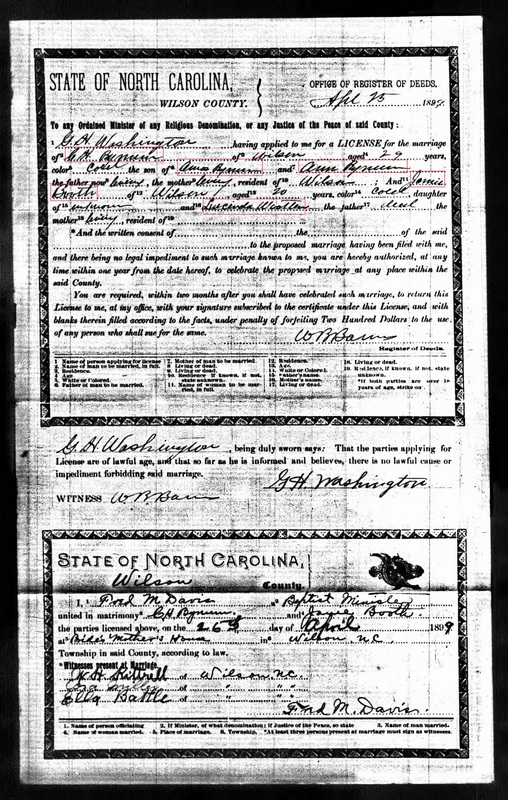 In any case, he married Helen B. Wooten in 1904, and they are listed in Kinston, Lenoir County, in the 1910 census. The 1912 Kinston city directory shows Charles well established. 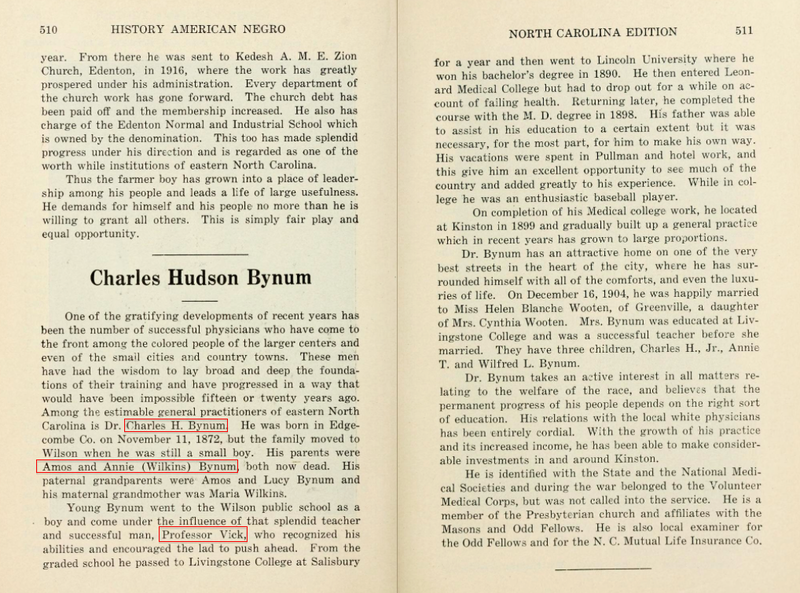 Charles H. Bynum died in 1938. ← To my trusty friend and former slave.